Got a round of golf coming up and not sure what to wear? Or perhaps you’re just taking up the game and need some advice? Don’t worry, we’ve got you covered. Golf has a reputation for being a bit conservative when it comes to clothing. But things have changed a lot over the past 10 years or so, and most clubs are fairly relaxed these days. But before going to a course you should definitely check to see if they enforce a dress code as some still do. With that being said, here’s a rundown on what to wear golfing to look the part on the course, feel comfortable, and stay within the rules. I’ve golfed in everything from football boots, hiking boots, and trainers in the past. So you don’t NEED a pair of golf shoes. But at the end of the day, they’re designed specifically for golf, and really it’s one piece of golf specific clothing you should definitely invest in. The other is item 2 on our list. A good pair of golf shoes will anchor you to the ground, giving a stable base for your swing, and keep your feet dry on soggy courses. 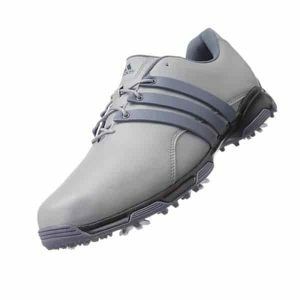 Check out our rundown on the best golf shoes in 2019, with shoes for all budgets. Again, you don’t need to wear a glove. But it will help you grip the club more effectively and prevent it slipping in your hand. You can pick up a decent glove for $10-$15, so it’s worth buying one. Note: if you’re a right handed golfer, you’ll want to buy a glove for your left hand and vice versa. As I said, most courses are pretty relaxed these days. But the one thing I would avoid is jeans. Many courses frown on them, and to be honest, they’re pretty uncomfortable and restrictive for swinging in anyway. You wouldn’t play any other sports in jeans would you? You can get specific golf trousers, but in my opinion they’re not really worth the extra $$$. Just wear a pair of plain colored trousers or shorts. Personally I wear a pair of dark grey walking/hiking trousers, which are nice and comfortable and have plenty of pockets for keeping balls, tees, markers etc in. Oh, and if it’s pouring with rain, you might want to wear a pair of waterproofs. Some courses do prefer golfers to wear a shirt with a collar, although again, most clubs won’t really enforce this. But I would still suggest you wear a comfortable polo shirt to keep you in the club’s good graces. Either plain colored or a simple pattern (like stripes) is best. If it’s cold, then you’ll want to keep warm on the course. I’d stay away from anything that’s going to restrict your swing and keep all clothing reasonably loose fitting. I wear a hiking fleece over my polo shirt when it’s chilly on the course. And again, stick to plain colors. Obviously if it’s raining you’re going to want to keep dry. But if you’re playing on a links course then even if the sun’s out the wind can really ruin your enjoyment of the round. 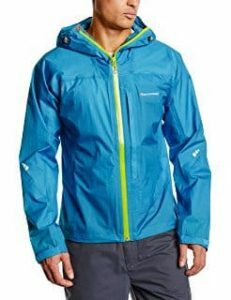 So a jacket that’s windproof as well as rain proof is definitely worth considering. There are golf specific jackets, but they generally come at a premium. Running jackets (which are lightweight, waterproof and breathable) will do the trick nicely. We picked out some of the best one’s this year in this post. I would class these 2 items as non essential. Personally, I don’t wear a hat, but I do wear a golf GPS. Your call! A cap with a visor will help to keep the sun out of your eyes. Can be particularly useful if you don’t have a playing partner to spot your ball for you. A golf GPS will take the guesswork out of yardages. And once you know how far you hit the ball with each club that does make a difference to your scoring. 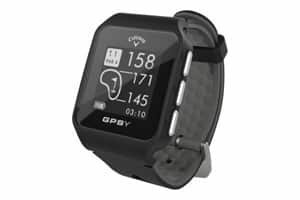 We picked out the best golf GPS watches in 2019 here. Ready To Hit The Course? And that’s really all you need to know about what to wear golfing in 2019. Although as I mentioned at the start, check with the club before you play in case they have any specific rules. 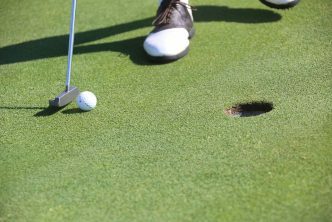 For more tips on sharpening up your golf game this year, check out our golf section. NoobNorm co-founder David writes about golf, fitness, and photography. 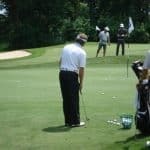 He regularly tests new golf training aids, swing theories, and the latest DSLR and action cameras. Noob Norm is supported by our readers. When you buy a product through one of our links we may earn a commission. Find out more about us and our editorial process here.